Flack, Sophie. Bunheads. 294 p. Poppy. 2011. Hardcover $17.99. ISBN 9780316126533. Although I’ve taken ballet at various times in my life, I have to admit that I’ve never progressed past beginner's level. Alas, I’m completely hopeless at chaine turns! So, ballet and I aren’t meant for each other, but I love it. It’s so structured, so disciplined. There’s so much effort that goes into holding one’s body in the proper stance, yet professional ballet dancers make it look so fluid and natural. I have the deepest respect for the years of training and dedication that go into a ballet career, so I was excited to read Sophie Flack’s debut novel about a young dancer in the corps of a prestigious New York ballet company. Hannah has devoted her whole life to dance, but isn’t sure it’s what she wants anymore. Having danced with New York City Ballet for nine years, Flack writes from an insider’s perspective, and her expertise shows. This book is full of intimate details about life in a dance company, both painful and beautiful. She depicts it all with authenticity: the uplifting feeling of performing on stage, the rivalries between dancers, body image issues, the physical toll dancing can take, the single-minded focus necessary to succeed, and the varying attitudes of the dancers toward their careers. One of the influencing factors in Hannah’s ultimate decision is her relationship with aspiring musician, Jacob, and I wasn’t a big fan of his character. I was frustrated that he couldn’t understand why Hannah couldn’t or wouldn’t hang out all the time and do things like normal people-- surely it's not so hard to fathom that ballet dancers have to devote themselves entirely to dance. Frankly, I felt like telling Jacob to shut his yap! That said, Jacob is a realistic and well-written character. It doesn’t bother me that I didn’t fall head-over-heels for Hannah’s love interest, because this book isn’t really about romance. It’s about a young woman’s examination of her goals and her struggle to achieve balance in her life, which, I think, makes for a stronger story. Anyone who has ever been involved in the performing arts will relate to this book. 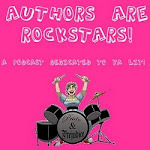 I really liked it, and will look forward to future books from Sophie Flack. 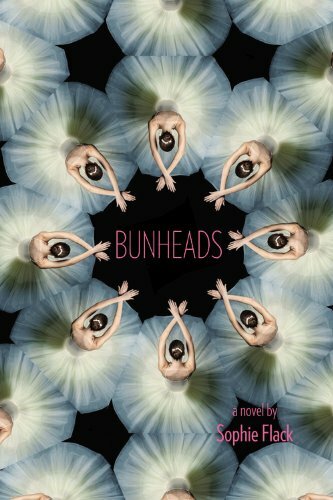 Bunheads hits bookstore shelves tomorrow, October 10. ARC for review borrowed from my friend Lalitha at SoCal Library Connection. A wee rant for Halloween: I see dead people.